This blonde bombshell and fabulous actress, was seen on the red carpet last month, at the National TV Awards. Hannah is wearing a navy jersey, deep plunging, heavily embroidered neck line dress, teamed with a faux fur crisp white stole. Danya, a very lucky lady, was invited to the Oscars last week. Not many get this opportunity, so Danya decided to go all out on the red carpet. She is wearing a chocolate brown, slightly embroidered ball gown, fitted at the waist and with a full skirt for added volume. The German beauty stepped out in New York, wearing an Elie Sabb cotton blend lace dress last night to the amfAR fundraising gala. We personally feel the sleeves can look a little older on an evening gown? She’s not shy when it comes to making appearances on the red carpet. And this outfit certainly won’t go unforgotten. Rihanna is seen in a rose coloured tiered ball gown from the Giambattista Valli’s Haute Couture line. 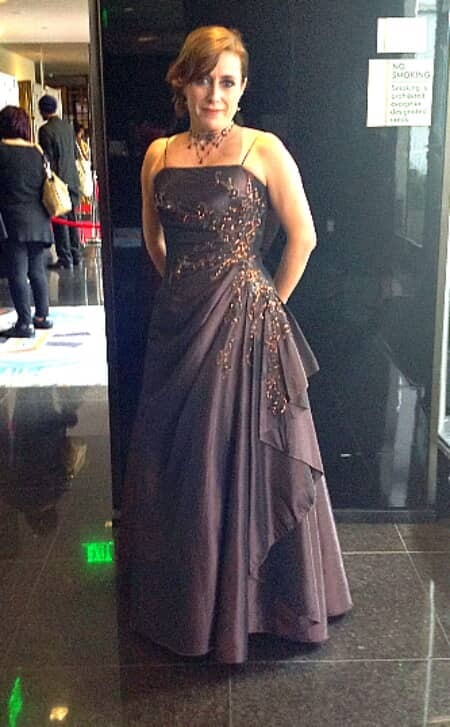 Jessica, one of our regulars, is seen wearing our blue/purple floral ball-gown to the Russian Ball last October. Patricia, the lady on the right, is one of our regular customers. She had a super exciting event to attend, the London Fitness Fashion Show at the 02 recently and see came third place. 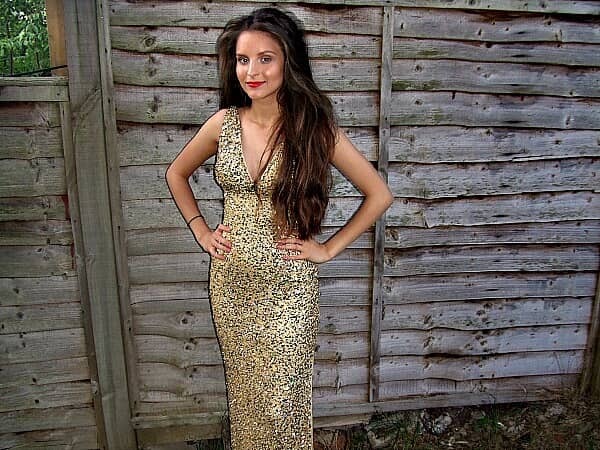 Of course, she is wearing our knock out gold strapless dress, a true winner in our eyes! 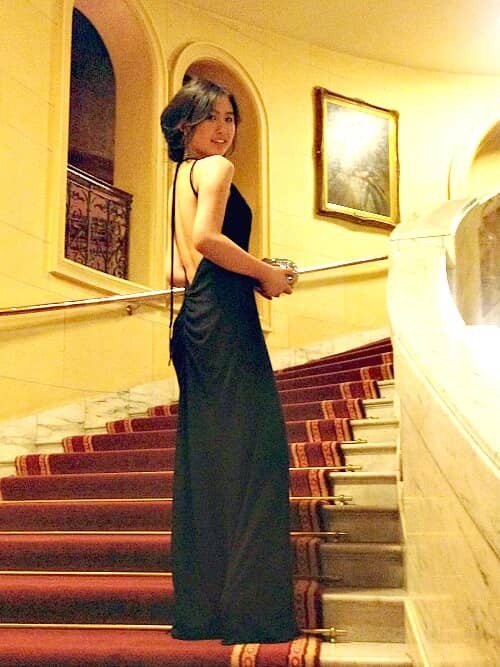 The demure Rachel here wore our low back black jersey gown that ties at the back and hangs loosely. Worn to her leavers ball this Monday evening. Such a grand photo, we hope she’ll be back in the future! Check out this gorgeous young thing! This lovely lady had her school prom to attend and hired this gown for it. She informed us that she won second best for her gown too, which of course we don’t doubt, as she looks absolutely knock out here. It is said to have been discovered back in 3,900 B.C. in Armenia, in the form of a straw-woven skirt. These garments have been worn by men & women over the years in many different cultures. This is still alive today, some men in Scotland wear kilts, as do some Asian men wear what is called, the Dhoti or Lungi, a piece of material that is wrapped around the waist and knotted, resembling a skirt. 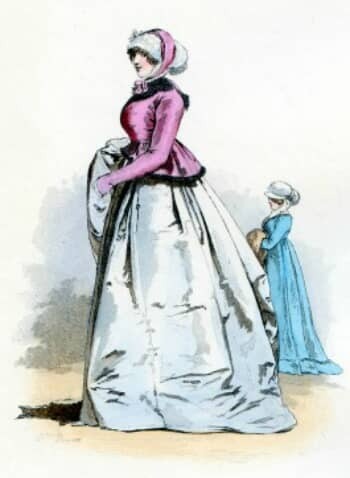 Women’s dresses started to become a lot more varied in the 19th century than in any other culture. Waistlines originally started under the bust, called the ‘Empire Silhouette’, and they started to drift towards the natural waist. The skirt had started of quite narrow, but was now moving towards styles like the Hoopskirt or Crinoline skirt. This was all taking place around 1860s. Then, skirts took a radical change in the beginning of the 20th century – the hem was no longer at the floor. Around the 1920s skirts became short(er), then in the 1930s, long again. Then throughout the War, skirts became shorter as there was a fabric restriction at the time. And of course what came into fashion in the 60s? The Miniskirt by Mary Quant. She had dared to create this item the measured normally no longer than 4inches below the bottom. These skirts were so popular, as they are today, worn by teenagers, young adults and can also be seen in sport, such as skaters, cheerleaders and tennis players.